Say bye to plastic water bottles and Hello to Ooho. | Everything Delicious. Say bye to plastic water bottles and Hello to Ooho. 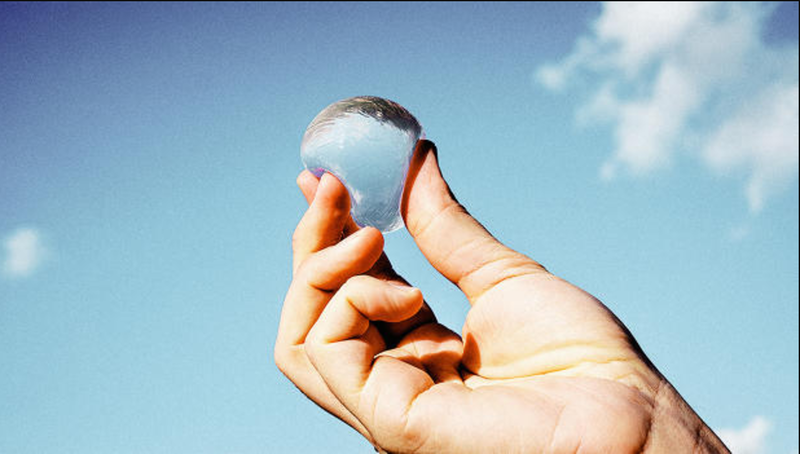 Ooho is reinventing how we’ll drink water on-the-go. After plastic bags, plastic water bottles are the new public enemy #1. Sales of plastic water bottles are still growing, despite their terrible effect on the environment. Actually, up to 1 billion plastic bottles reach the ocean every year. But what can people do until they have a better alternative? How else are we supposed to quench our thirst when we are out and about, playing sports or enjoying a music festival? So what is it? It’s a small bubble-like sphere of water. This biodegradable ball is made of plants and seaweed and is not only compostable but also edible if you want to swallow it. It’s 5x less CO₂ and 9x less energy vs plastic bottles. For the moment, the start up is targeting both outdoor events and cafes, places where large amounts of people tend to consume a lot of packaging over a very short amount of time. They are also trying to get a fully-automated production machine (the size of a coffee-maker) up and running. Well, yes it’s definitely gonna take a bit (a lot) of efforts to change people’s behaviour but once that’s done, the possibilities are endless. In fact, the packaging can be used for other liquids like soft drinks, spirits & cosmetics; and considering the proprietary material is actually cheaper than plastic it may be of interest to multiple industries. Will Ooho be able to fight plastic and reduce waste with natural packaging? Only the future will tell but we wish them luck! This entry was posted on April 17, 2017 by Pauline Rosen in News feed and tagged fight waste, ooho, plastic bottles, start up, water innovation, water problems.